THE AROCK, SEROCK, SYLVIA SOUL STORY CONTINUED. Al Sears’ career began in the 1928, when he replaced Johnny Hodges in Chic Webbs’ band. This was the start of a long and successful career. In 1931, Al Sears joined Elmer Snowden’s band. He was the tenor saxophonist right through until 1932. Then in 1933, Al Sears decided the time was right to move from sideman to bandleader. For the next eight years, Al Sears forged a career as a bandleader. He lead several successful groups. However, in 1941, Al Sears got the opportunity to join Andy Kirk’s band. By then, Al Sears was one of the top tenor saxophonists. This became apparent each night Al Sears took to the stage with Andy Kirk’s band. So it was no surprise that in late 1942, that when Al Sears left Andy Kirk’s employ in 1942, that he was destined for great things. That proved to be the case. Al Sears joined Lionel Hampton’s band in 1943. Al Sears was now a member of one of the top jazz bands. However, in 1944 he was asked to join Duke Elington’s band. Al Sears had arrived. Over the next five years, Al Sears became one of stars of the Duke’s band. In what was a multi-talented band, Al Sears was one of the top soloists. That was until Al Sears left Duke Elington’s band in 1949. Two years later, Al Sears joined Johnny Hodges band in 1951. He was with Johnny Hodges until 1952. During that period, Johnny Hodges recorded the album Castle Rock. It features a trio of Al Sears’ compositions. The most famous was Castle Rock. It lent its name to one of Johnny Hodges’ most successful albums. However, the Castle Rock album wasn’t released until 1955. By then, Al Sears had had turned his attention to publishing. Al Sears was an astute businessman, and in the mid-fifties, founded his own publishing company. In the early days, the Rual publishing company death with Al Sears’ own compositions. Soon, many New York based artists were using Rual. As the years went by, Al Sears decided to add to his nascent musical empire. He founded his first record labels in 1960. Gator only released a quartet of singles, and Triess released just a trio of singles. Things weren’t going to plan. That wasn’t until Al Sears founded Serock in 1962. It became involved with Scepter Records, which was next door to Serock. Right through to until Serock closed its doors in mid-1963, it enjoyed a degree of success. With Serock consigned to musical history, Al Sears decided to launch a new label In September 1963, Arock. 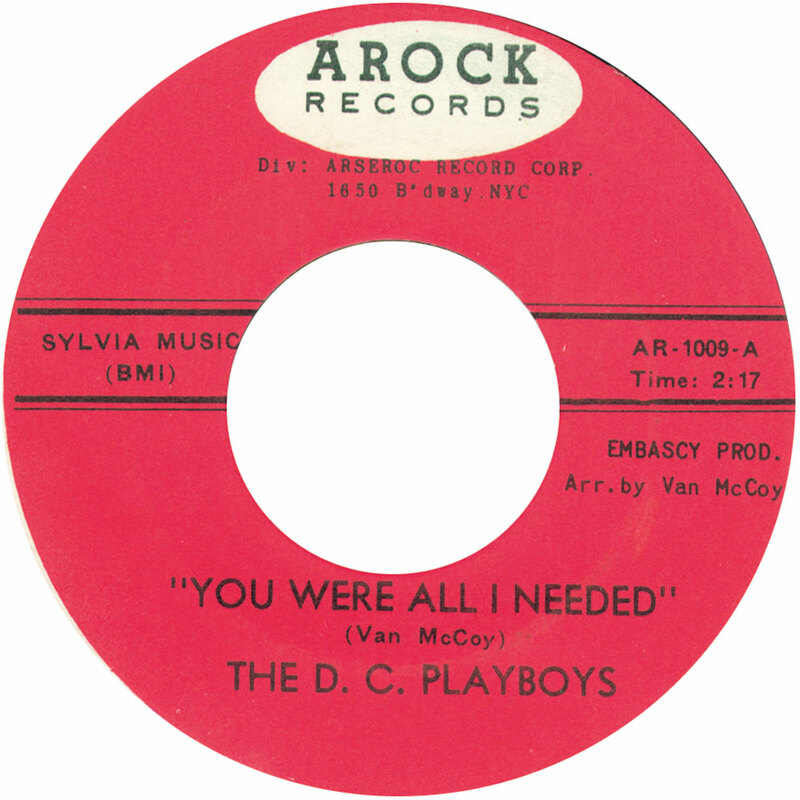 It lasted until the end of 1964, when Al Sears replaced Arock with his latest label, Sylvia. This proved to be the label that lasted longest, and was around until mid-1966. 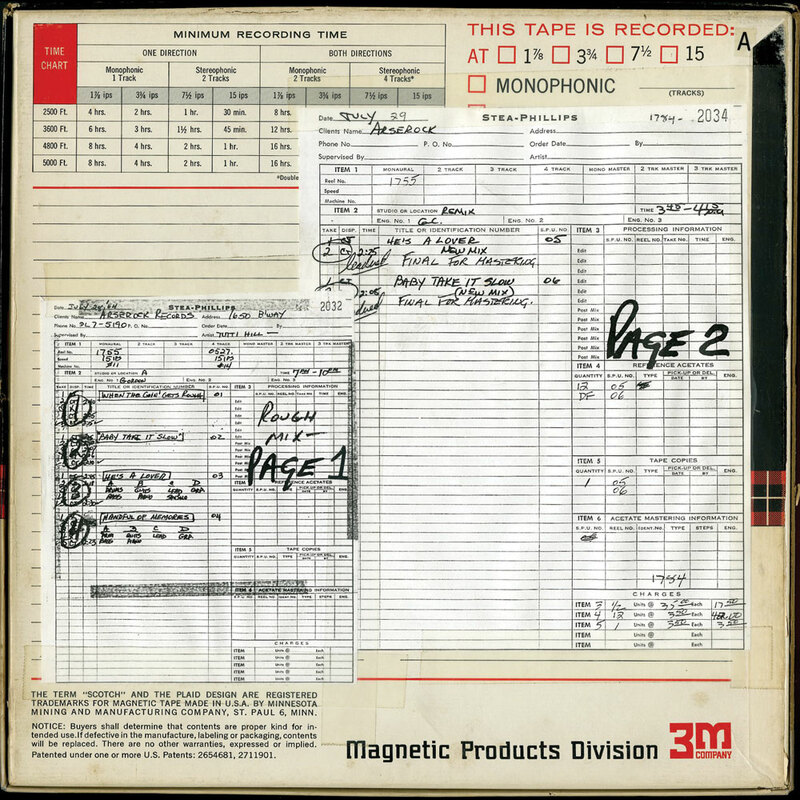 By then, Al Sears had spent over six years running his own record labels. 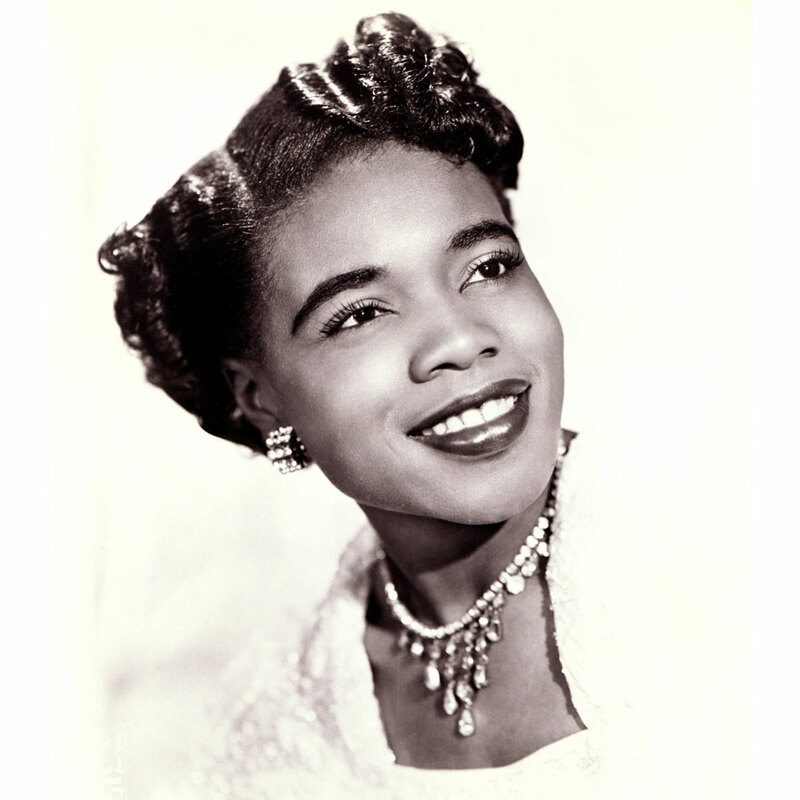 Part of this period is celebrated on The Arock, Serock, Sylvia Soul Story Continued, which was recently released by Kent Soul, an imprint of Ace Records. 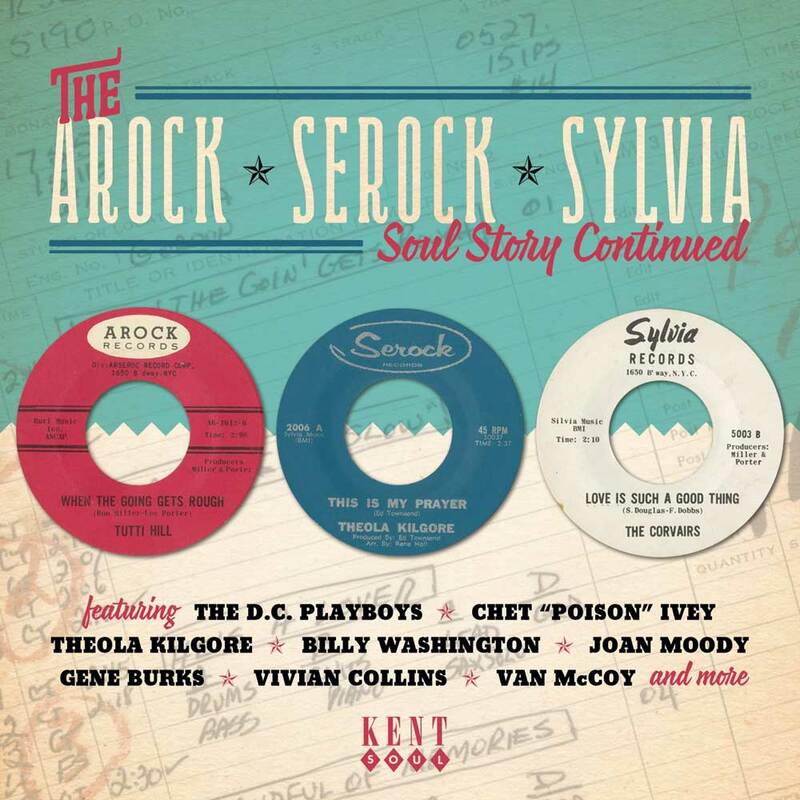 The Arock, Serock, Sylvia Soul Story Continued features twenty-five tracks. This includes twenty-three tracks that have never found their way onto CD before. 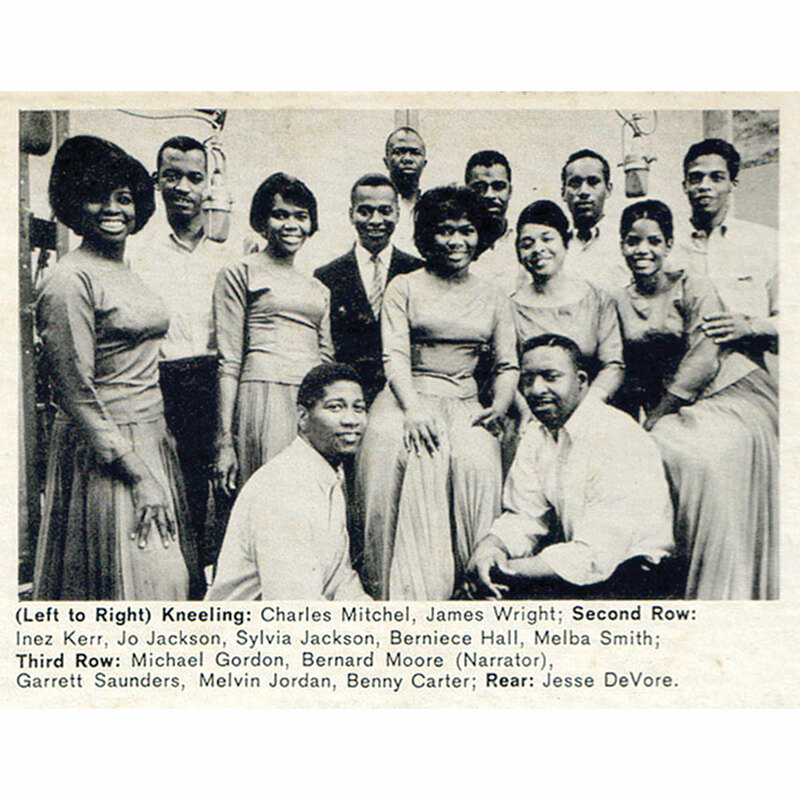 Among these tracks are seven previously unreleased tracks, including an extended version of Sterling Magee’s Get In My Arms Little Girlie; Tutti Hill’s When The Goin’ Gets Rough; Garrett Saunders’ disbelieving take of I Keep Coming Back For More and Marie Knight and Junior Lewis’ Nothing In This World. These hidden gems are examples of New York soul from the sixties. So are two unreleased demo tracks from Junior Lewis. Despite being demos, Junior Lewis breathes meaning and emotion into the lyrics to It Won’t Work Out and Where You Are. However, one of the best of the unreleased tracks comes courtesy of Don Covay. It’s another demo, but features the South Carolina born soul man deliver an impassioned version of Did You Hear? It makes a welcome appearance on The Arock, Serock, Sylvia Soul Story Continued. So do many other tracks. This includes, The Corvairs’ Love Is Such A Good Thing, which opens The Arock, Serock, Sylvia Soul Story Continued. It’s a Fred Dobbs and Scot Douglas composition, which was produced by Miller and Porter. Once it was completed, it became the B-Side to The Corvairs’ single A Victim Of Her Charms. It was released on Sylvia in 1964. Those that flipped over, and gave Love Is Such A Good Thing a spin were rewarded with a joyous sounding song. New York soul man Gene Burks, had signed to Al Sears’ Arock label in 1963. A year later in 1964, he was preparing to release his sophomore single Take My Hand. 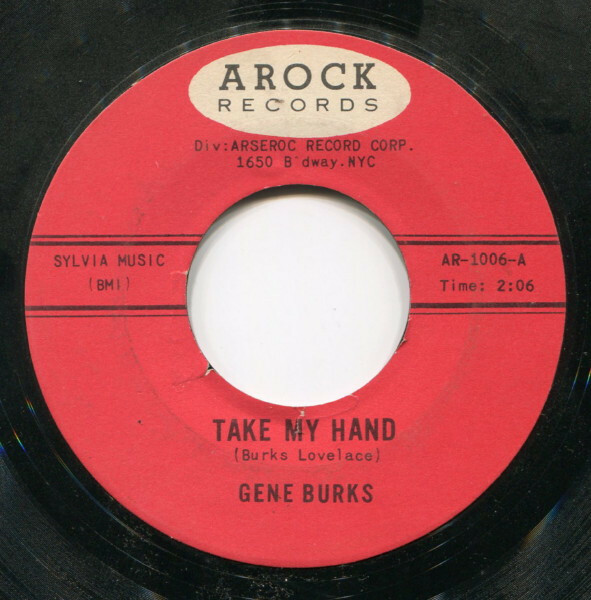 This was one of Gene Burks’ own compositions, which featured a needy, hopeful vocal. Sadly, despite the quality of the lyrics and delivery, Take My Hand failed commercially. For Gene Burks this marked the end of his time at Arock. When Joan Moody Music To My Ears released in June 1966, sharp eyed record buyers spotted something was amiss. The label was different to previous releases. Rather than bearing the TCF label, Music To My Ears was released by TCF Fox Family Sylvia. This was because Al Sears had signed a distribution deal with 20th Century Fox. They went on to release Joan Moody fourth and final single on 20th Century Fox. It had been penned and produced by Ron Miller and Lee Porter, and showcased the talents of Joan Moody. Detroit based producer Mike Hanks produced Vivian Collins’ Hey Officer. This Clara Bell, William Garrett and Mike Hanks song became the B-Side to Answer Me. It was released on Serock in November 1962, and was Vivian Collins’ only single. 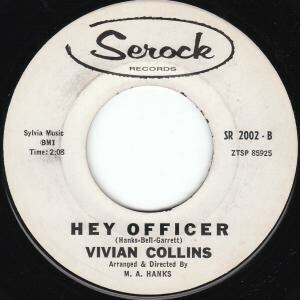 Hey Officer something of a hidden soulful gem from Vivian Collins. 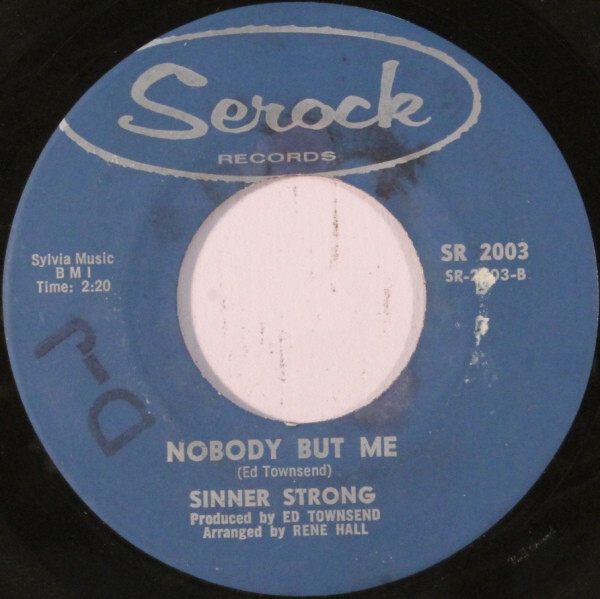 In 1963, Sinner Strong released cover of Ed Townsend’s Don’t Knock It as a single on Serock. The single was produced by Ed Townsend. Tucked away on the B-Side was another Ed Townsend song Nobody But Me. It finds Sinner Strong being accompanied by a gospel choir. They adding rousing harmonies, while Sinner Strong delivers a soulful vocal powerhouse. This results in one of the highlights of The Arock, Serock, Sylvia Soul Story Continued. Way before he released and produced singles like The Hustle, Van McCoy was signed Rockaway in 1964. The only single he released for Rockaway was It Ain’t No Big Thing. It was written by Van McCoy, and he produced It Ain’t No Big Thing with Buddy Smith. While the single wasn’t a commercial success, it was catchy and well produced. By 1966, Billy Washington was signed to TCF Sylvia. He released Later For Romance as a single. It was written by Billy with La Charles Harper and Larry Lucie. They penned the flip side I Wanna Come In. Its a dance-floor friendly slice of hook-laden soulful music. Having formed his Serock label in 1962, Al Sears began signing artists. This included Garnett Saunders, who released A Day Or Two in 1962. On the B-Side was Easier Said Than Done. It was penned and produced by Lee Porter and Ronald Miller. 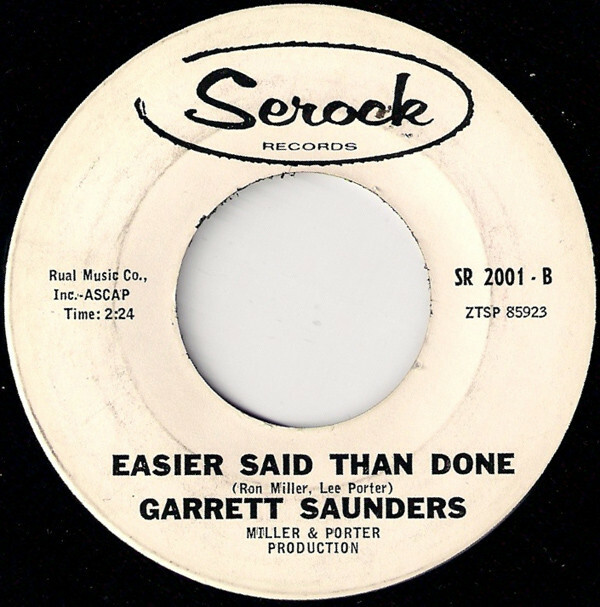 Accompanied by harmonies, Garnett Saunders delivers the lyrics to Easier Said Than Done as if he’s lived and experienced the hurt and heartbreak. The Larks’ Another Sleepless Night closes The Arock, Serock, Sylvia Soul Story Continued. Another Sleepless Night was the B-Side to The Larks’ 1964 single For The Love Of Money. Both sides were penned by Jackie Marshall and produced by Dynamic Productions. With a vocal that’s rueful and full of sadness and regret, it’s a moving and quite beautiful way to close The Arock, Serock, Sylvia Soul Story Continued. Fourteen years after the previous instalment in this occasional series, Kent Soul, an imprint of Ace Records return with The Arock, Serock, Sylvia Soul Story Continued. This twenty-five track compilation is another tantalising taste of the music recorded for, and released on Arock, Serock and Sylvia. Al Sears had moved from musician to businessman. The veteran saxophonist had seamlessly made the switch from bandleader and sideman, to publisher and record company owner. He had the uncanny knack for finding talented singers and pairing them with the songwriters and producers that would bring out the best in them. There are countless examples of this throughout The Arock, Serock, Sylvia Soul Story Continued. Some of these artists are familiar faces, while others will be new names. It’s the same with the songs on The Arock, Serock, Sylvia Soul Story Continued. There’ singles, B-Sides, unreleased tracks and even demos on The Arock, Serock, Sylvia Soul Story Continued. Often, a hidden gem is tucked away on a B-Side. This leaves one wondering why the song was relegated to the B-Side. Especially having compared and contrasted with the single. Belatedly, these hidden gems will be heard by a much wider audience, who will appreciate, embrace and enjoy them. That is the case with the rest of the tracks on The Arock, Serock, Sylvia Soul Story Continued. They document and celebrate the career of Al Sears, the onetime tenor saxophonist who founded a string of record companies. The next part in his story is documented on The Arock, Serock, Sylvia Soul Story Continued. ← SOME KINDA MAGIC-THE SONGS OF JERRY ROSS.